Feb. 05, 2018 - This is a border checkpoint between Laos and China. It is heavily guarded and closely monitored. 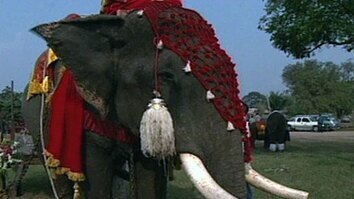 But despite the heavy security this wild Asian elephant ambled past the border patrol. This is not uncommon behavior for the endangered pachyderms in this region. 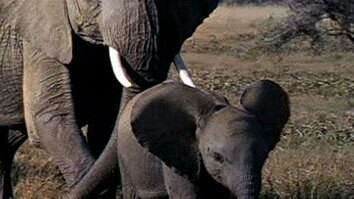 Residents actually receive smartphone alerts on wild elephant activities. These alerts serve not only as notifications for wildlife watchers, but also as safety alerts. Wild elephants have damaged cars and buses in the area. Watch "Impatient Elephant Disobeys Railway Rules." This wild Asian elephant ambled past the border patrol. This is not uncommon behavior for the endangered pachyderms in this region. 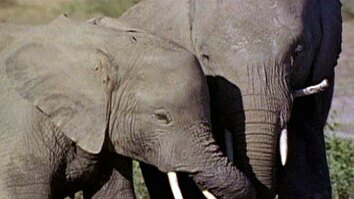 Residents actually receive smartphone alerts on wild elephant activities. These alerts serve not only as notifications for wildlife watchers, but also as safety alerts. Wild elephants have damaged cars and buses in the area.